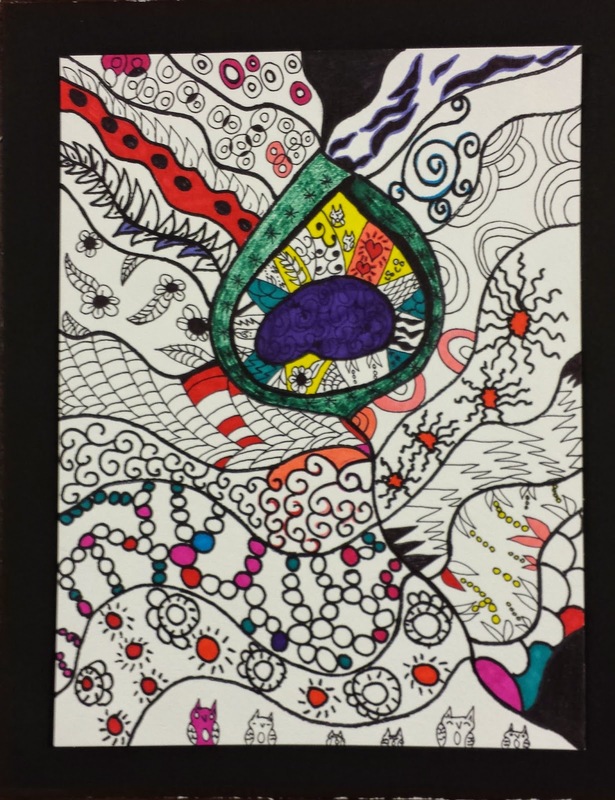 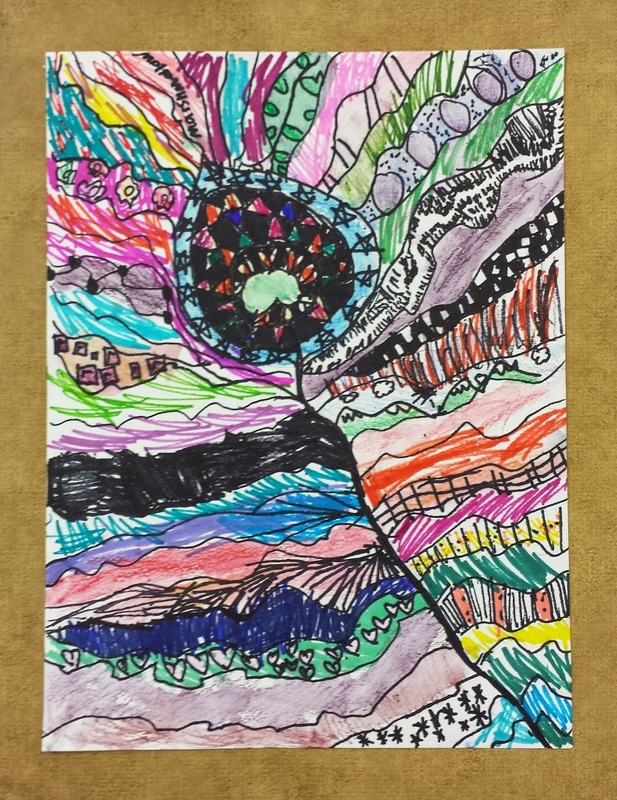 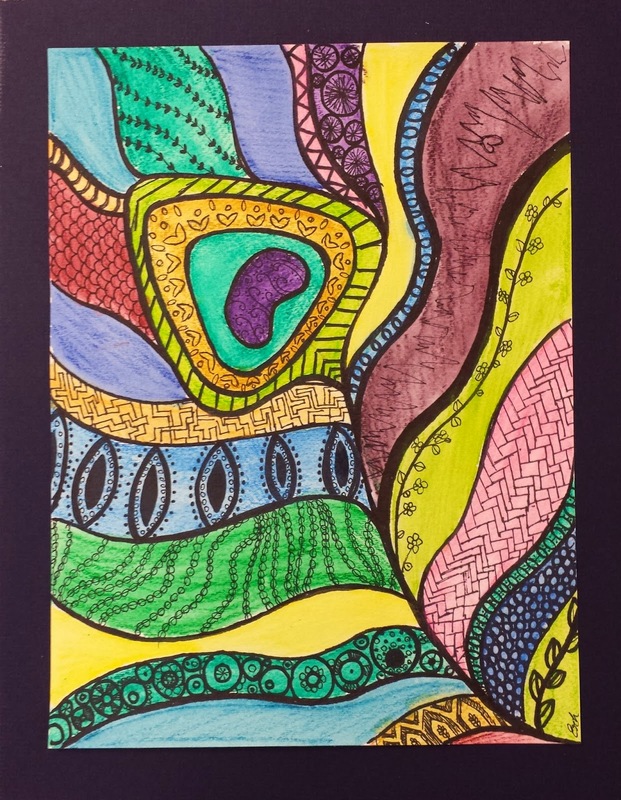 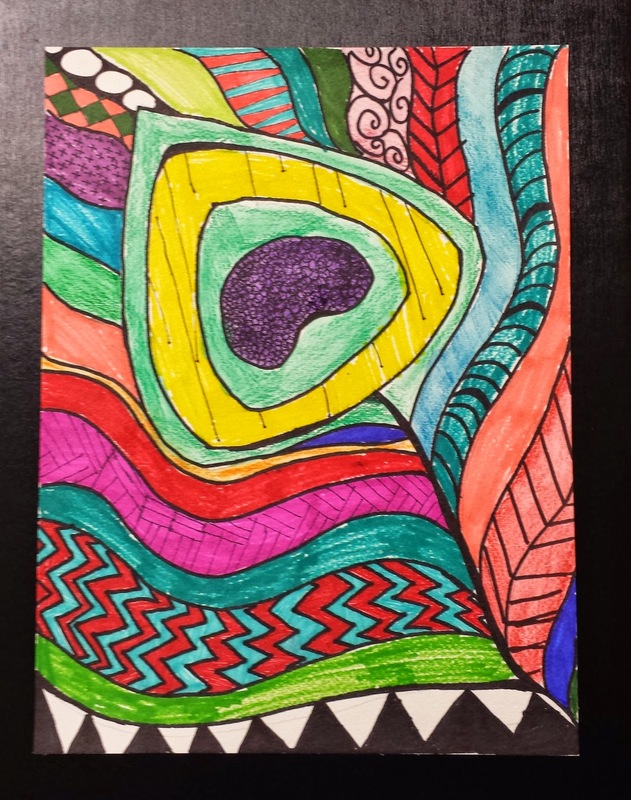 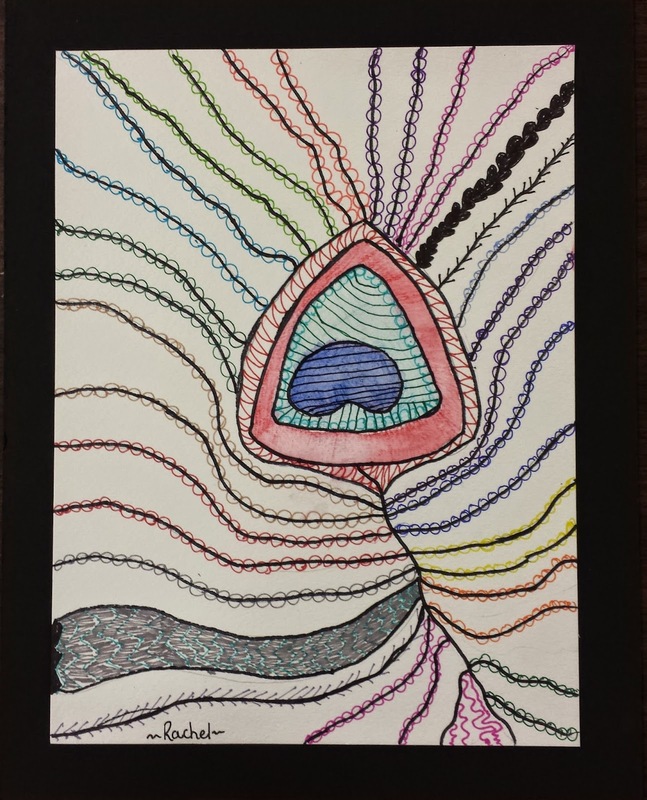 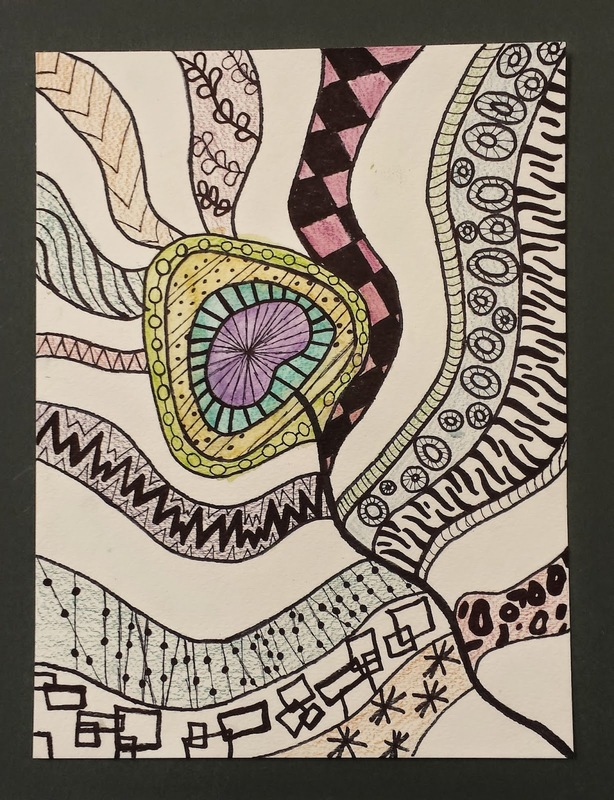 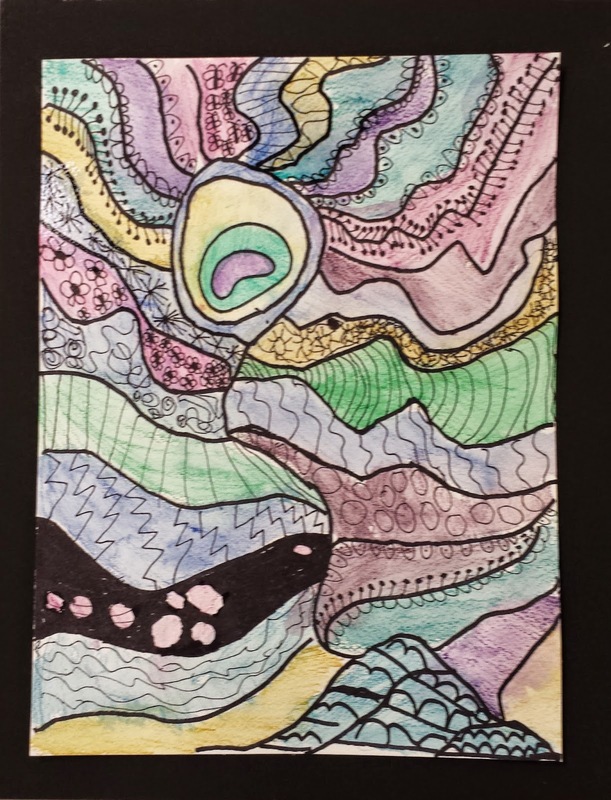 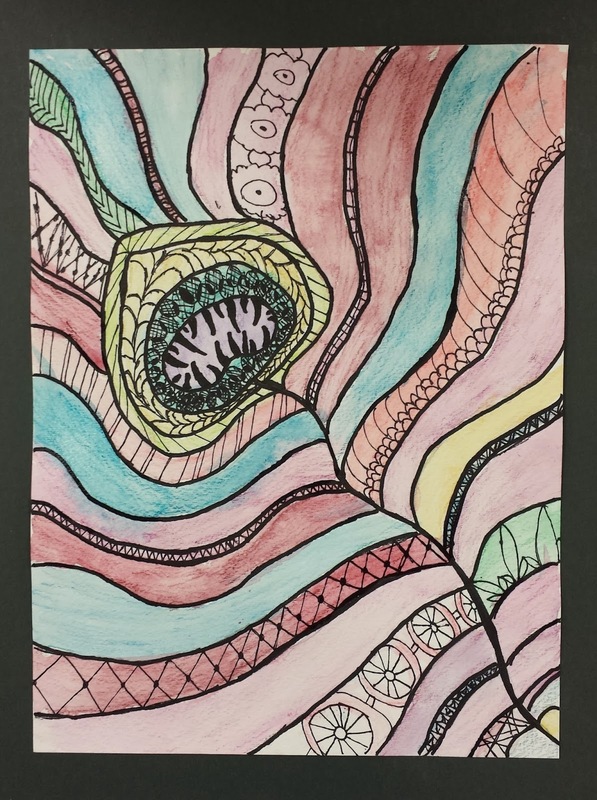 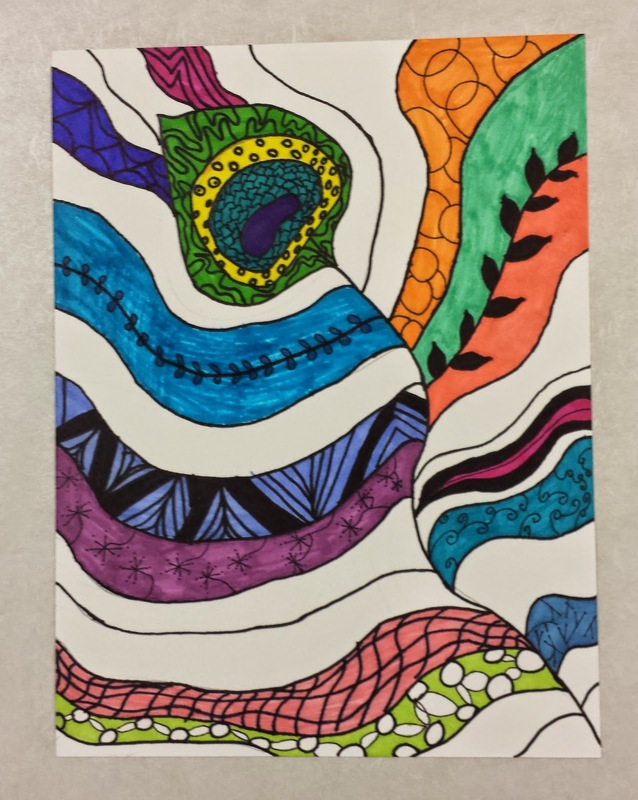 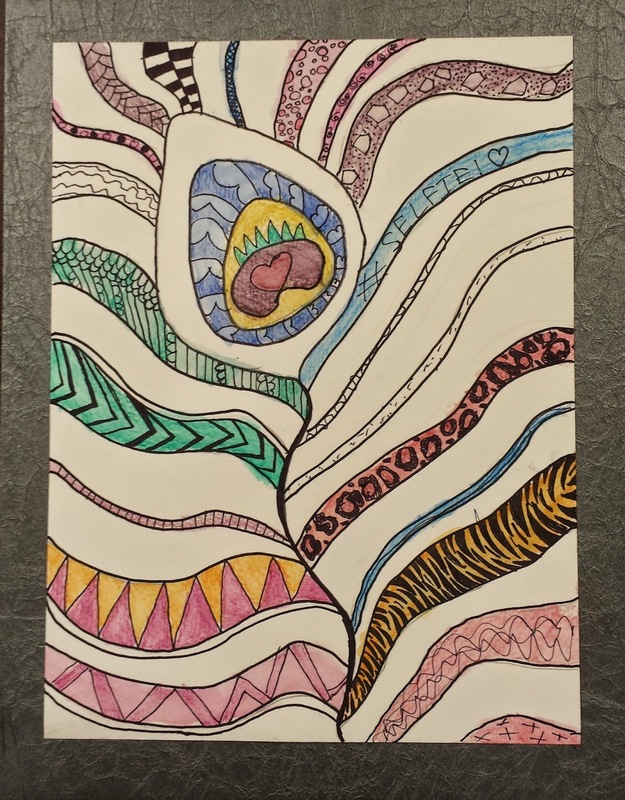 My kids art class did a really fun peacock feather zentangle drawing last week. 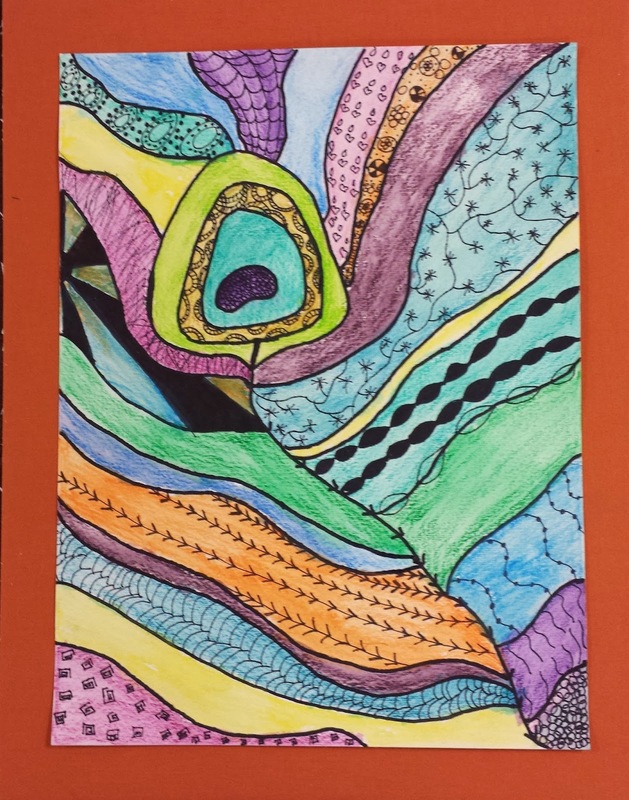 We used watercolor paper for our background and sharpies to do the outlines and patterns of the feather. 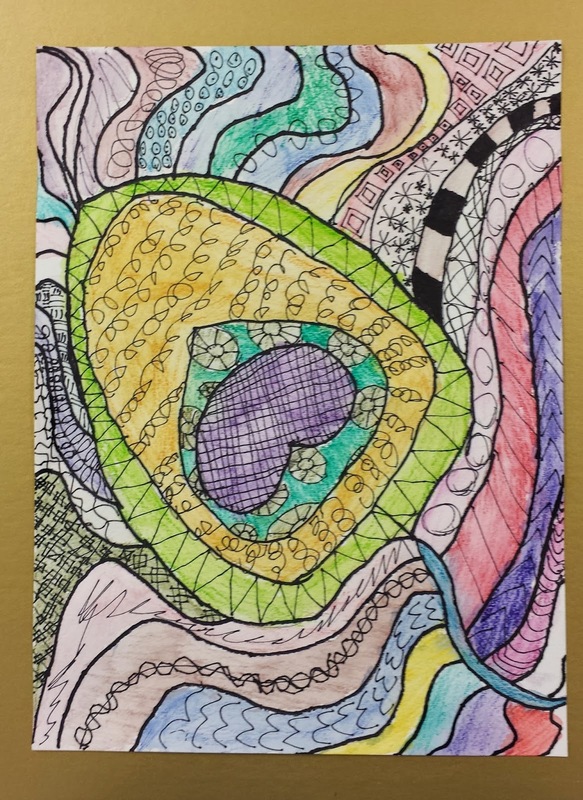 Then we colored in the design with watercolor pencils. 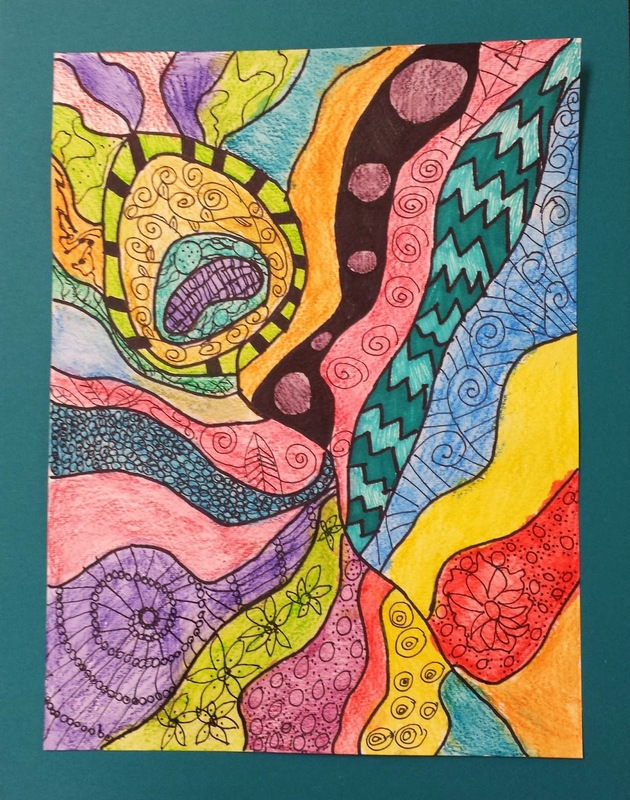 They turned out really beautiful. 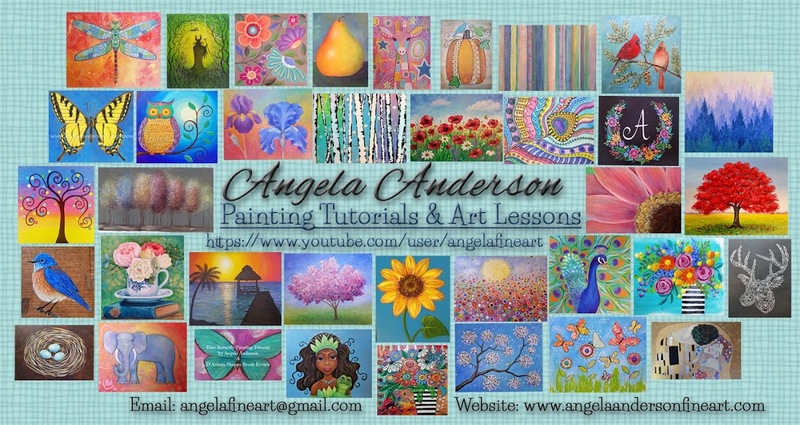 We attached the finished paintings to mat board. 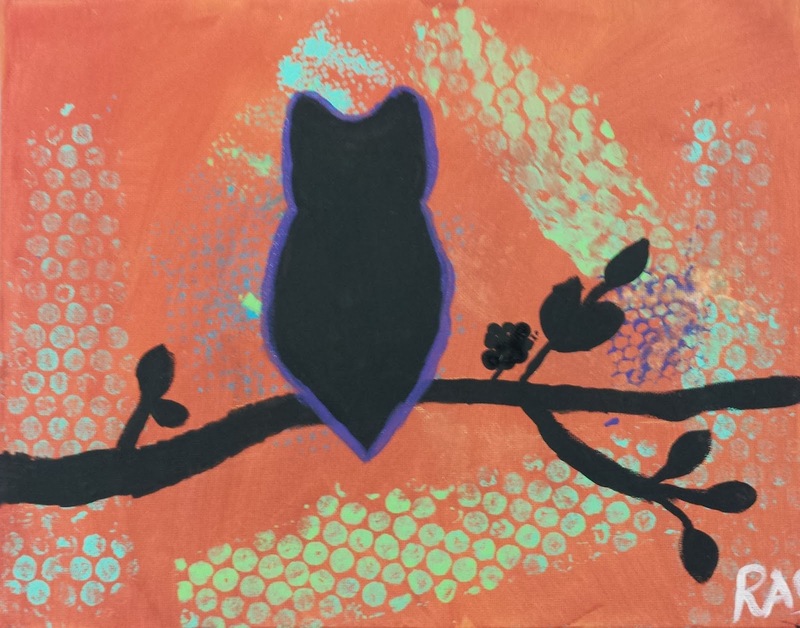 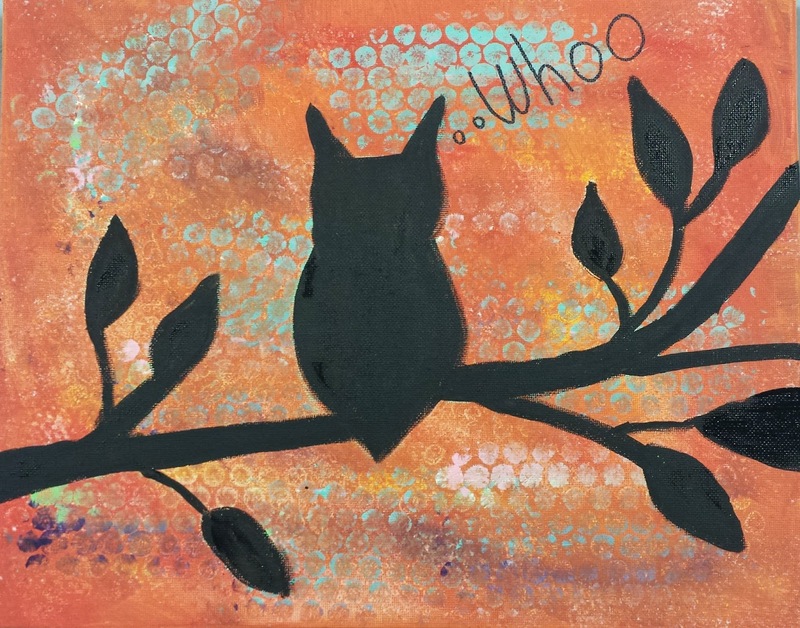 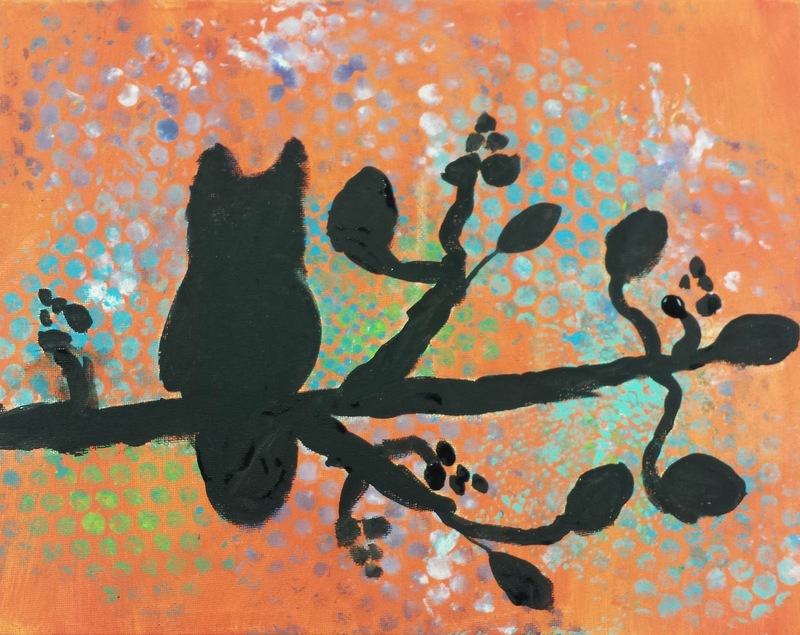 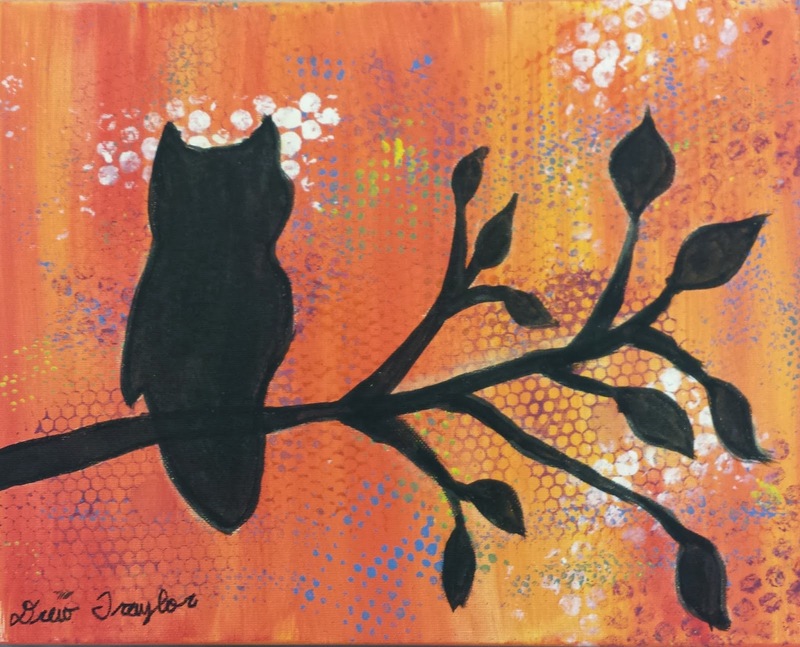 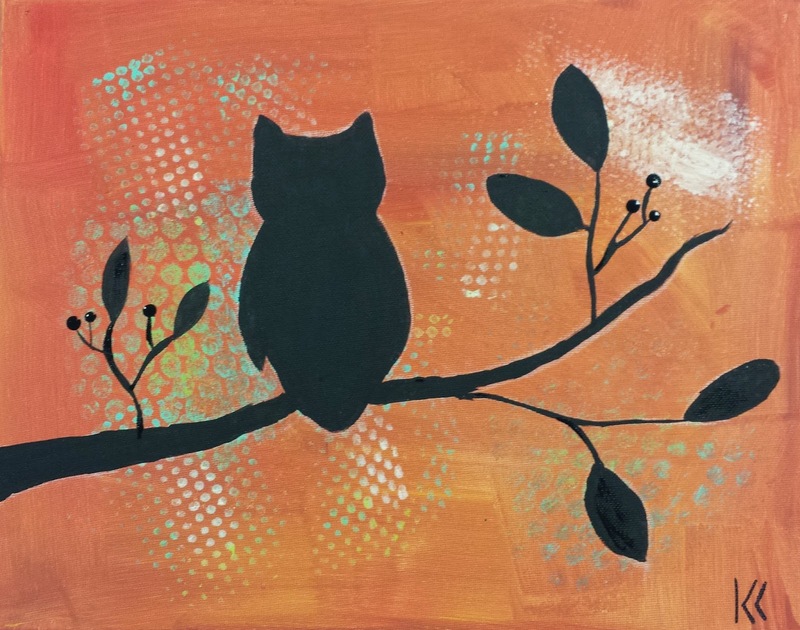 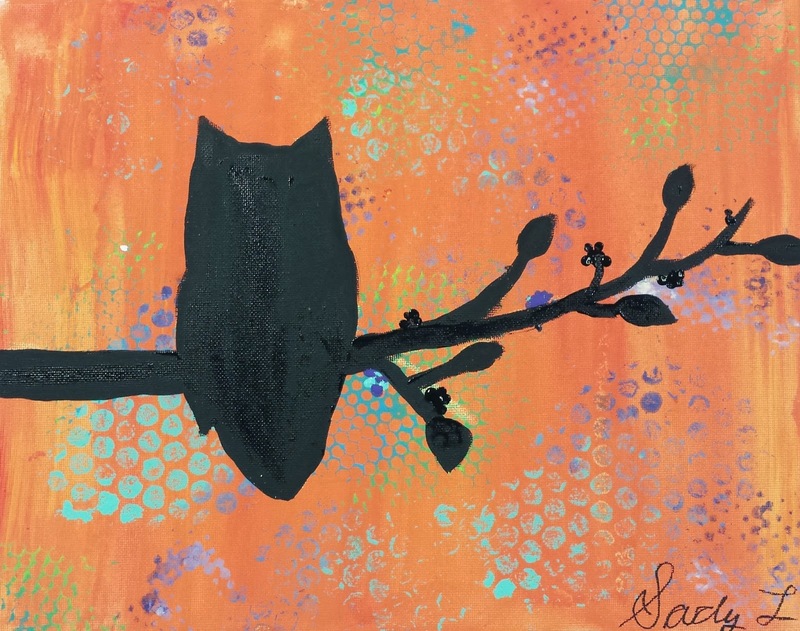 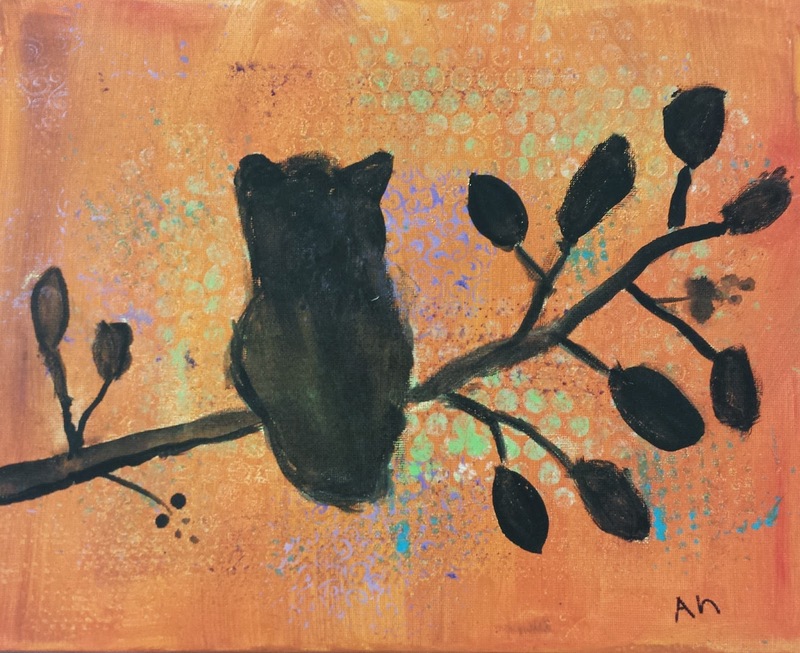 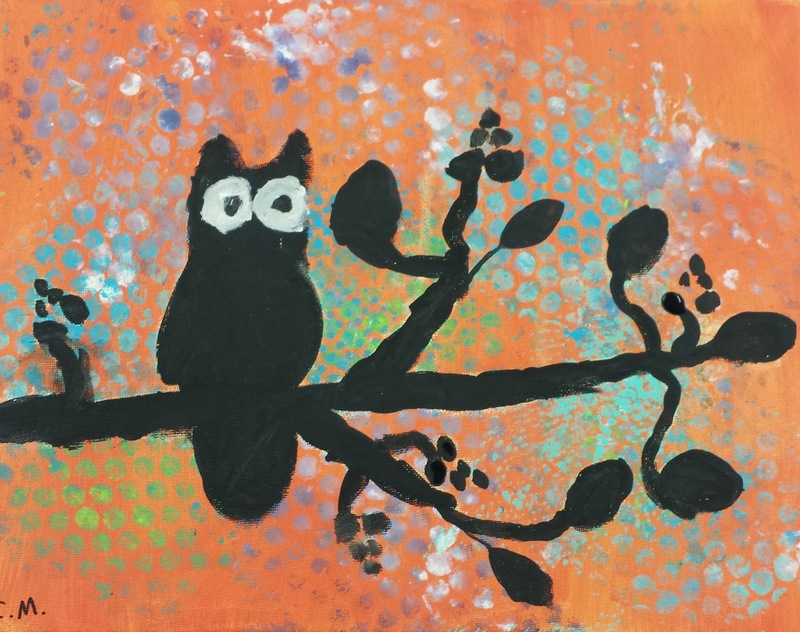 My art class started our new fall session with this owl silhouette painting. 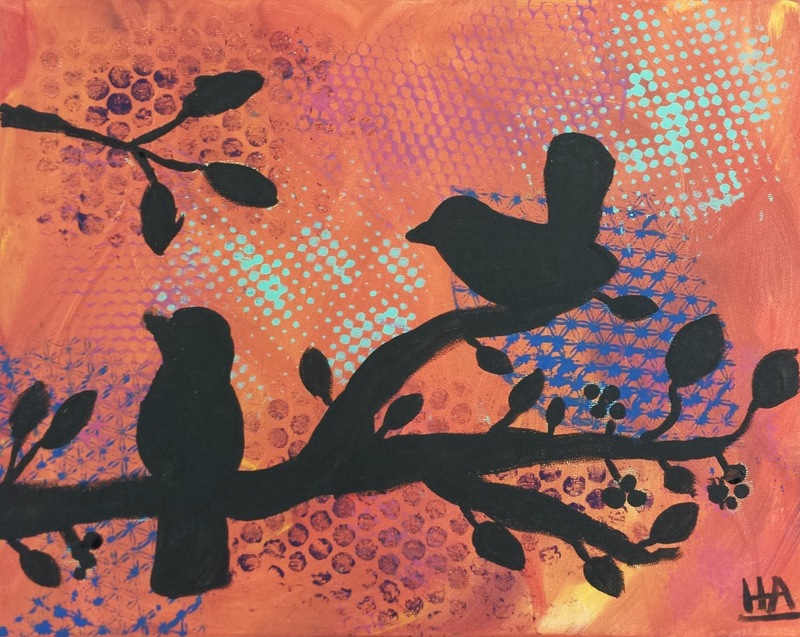 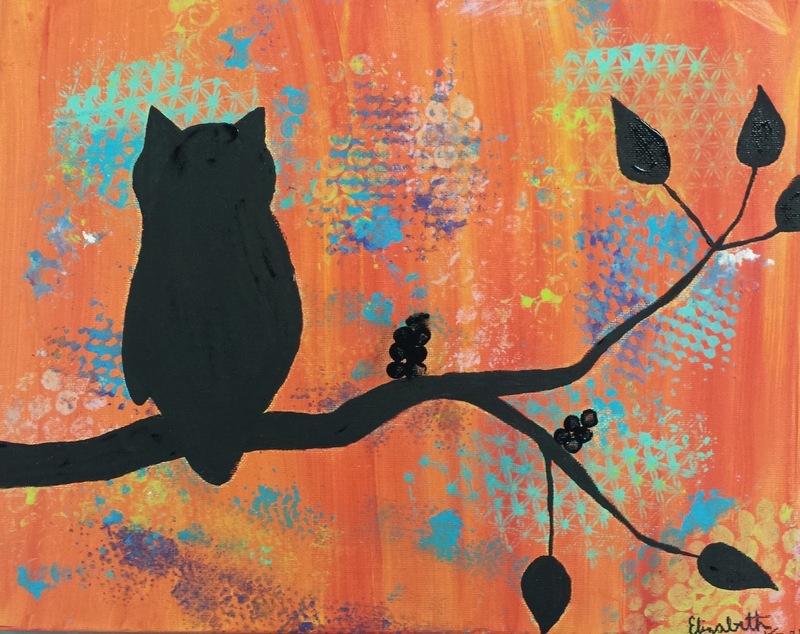 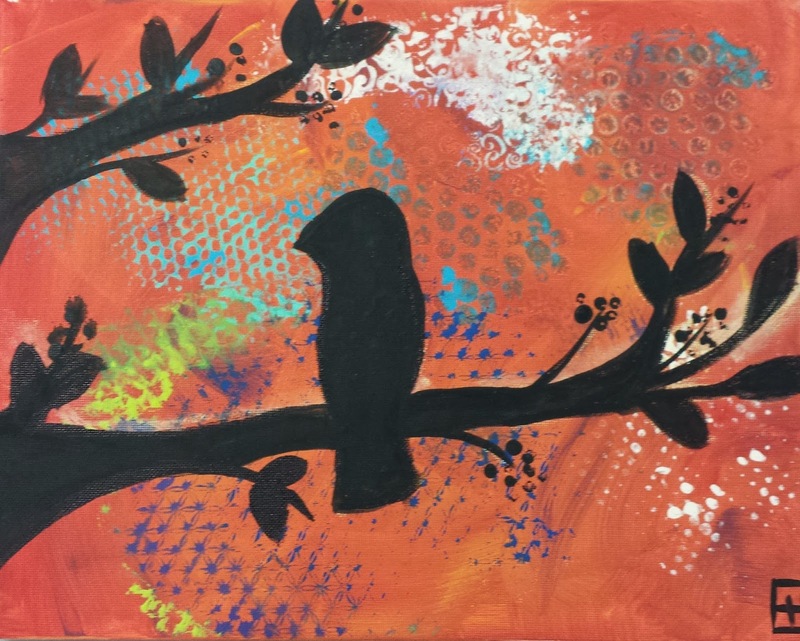 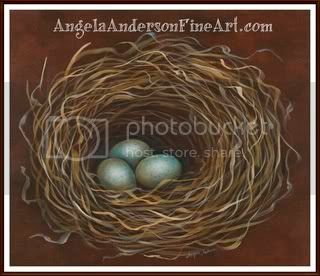 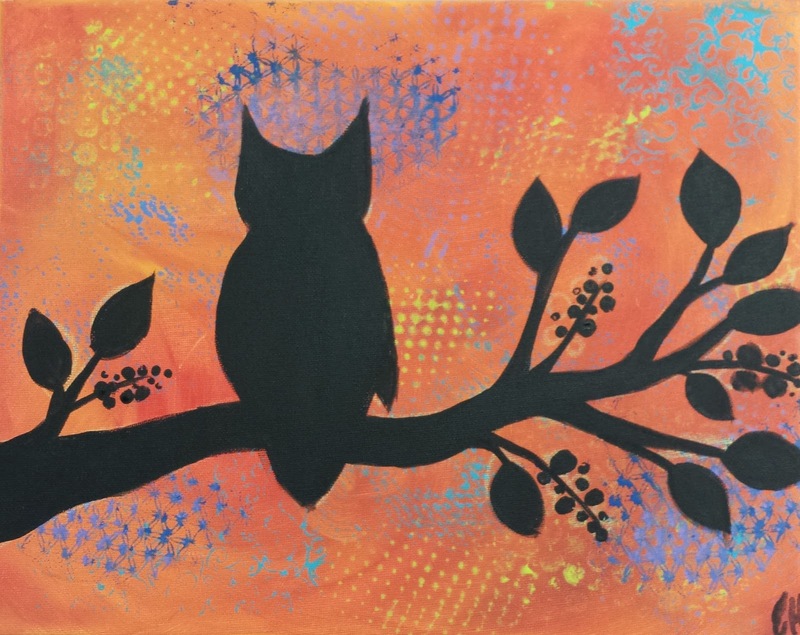 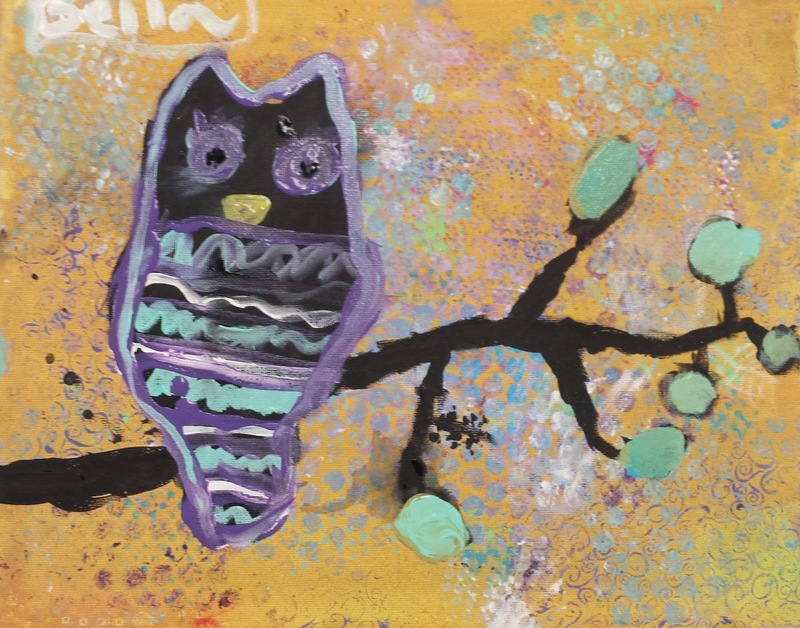 We did an abstract background in sunset colors and then did our branches and owls or birds in black.